(Bloomberg) -- Whatever Attorney General William Barr discloses about Special Counsel Robert Mueller’s Russia investigation, Democrats in Congress are certain to demand much more. The decision on providing a fuller disclosure of Mueller’s work will come later. “I intend to consult with Deputy Attorney General Rosenstein and Special Counsel Mueller to determine what other information from the report can be released to Congress and the public consistent with the law, including the Special Counsel regulations, and the Department’s long-standing practices and policies,” Barr said in his letter to Congress. Rod Rosenstein was the Justice Department official who appointed Mueller nearly two years ago to investigate allegations of collusion between the Trump campaign and Russia. Democrats immediately began calling for not only the full report from the special counsel, but also the underlying documents used to reach his conclusion. The central question is how much Barr will release about President Donald Trump, who Democrats worry could be protected by a pair of Justice Department policies that existed before the Mueller inquiry. One longstanding legal opinion says a president can’t be indicted while in office. 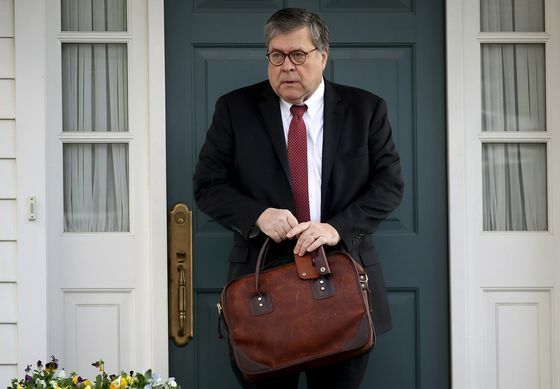 A separate policy, endorsed by Barr, generally precludes U.S. prosecutors from releasing derogatory information about a person who doesn’t face criminal charges. The two policies combined could keep the public in the dark about Trump’s actions, although Barr has said he wouldn’t cover up crimes. If Barr withholds some of Mueller’s report about Trump and then refuses a congressional subpoena, the fight -- and those DOJ policies -- could ultimately be tested in the U.S. Supreme Court. 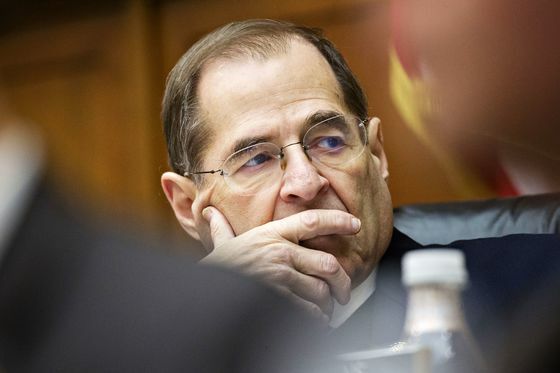 The six House leaders were Judiciary Chairman Jerrold Nadler, Oversight and Reform Chairman Elijah Cummings, Intelligence Chairman Adam Schiff, Financial Services Chairwoman Maxine Waters, Ways and Means Chairman Richard Neal, and Foreign Affairs Chairman Eliot Engel. Their chamber last week passed a unanimous nonbinding resolution that calls for the Mueller report to be made public. Trump himself said, “let it come out,” when asked earlier this week whether the special counsel’s conclusions should be released. Democratic-led House committees are readying subpoenas and legislation to force the issue. At his confirmation hearing in January, Barr said it’s important for the public to know Mueller’s conclusions, and he vowed he’d resign before covering up crimes. But most Democrats opposed Barr’s confirmation after he refused to commit to full disclosure. Barr’s only obligation under the existing regulations is to report if Mueller sought a prosecution that wouldn’t be allowed under department guidelines -- which Barr indicated Friday did not happen. Barr may feel compelled to oppose disclosure of classified intelligence and grand jury testimony, and he hinted in his confirmation testimony that he’ll extend to Trump the long-standing department policy not to release derogatory information about people who aren’t charged with crimes. Prosecutors, including Rosenstein, have sharply criticized former FBI Director Jim Comey for going public with criticism of Hillary Clinton’s email practices while saying she shouldn’t be charged with a crime. Trump’s lawyers have raised the possibility they’ll intervene in a release of inside information on Mueller’s investigation, claiming executive privilege for any communications involving the president. House Speaker Nancy Pelosi and Senate Democratic Leader Chuck Schumer warned against this possibility in their joint statement following the release of Barr’s letter. “Attorney General Barr must not give President Trump, his lawyers or his staff any ‘sneak preview’ of Special Counsel Mueller’s findings or evidence, and the White House must not be allowed to interfere in decisions about what parts of those findings or evidence are made public,” the Democratic leaders said. Democrats argue that withholding information that could be damaging to Trump would give him an all-purpose pass because it would prevent Congress from doing its constitutional duties -- starting with oversight but ultimately including possible impeachment and removal from office. Nadler previously predicted the House would prevail in a court case against any efforts by Trump to cover up the report. “Executive privilege can always be pierced by a specific and legitimate criminal or congressional inquiry," he said in January. If official avenues fail, Democrats will also be on the lookout for leaks, a possibility brought up recently by Representative Gerald Connolly of Virginia, a senior Democrat on the House Committee on Oversight and Reform. “There are lots of avenues -- including whistle-blowers providing copies,” he said, noting that former Senator Mike Gravel even tried to read the leaked Pentagon papers into the Congressional Record in 1971. Despite two years of Trump decrying the special counsel’s investigation as a “witch hunt,” Mueller has maintained credibility and support on both sides of the partisan aisle, particularly in the Senate where his inquiry has had the public backing of Majority Leader Mitch McConnell and many other Republicans. McConnell, however, has yet to back legislation by Republican Senator Chuck Grassley and Democrat Richard Blumenthal requiring the report to be released. Grassley said in a statement Friday that Barr must turn over Mueller’s findings to Congress “to finally put an end to the speculation and innuendo that has loomed over this administration since its earliest days.” But he warned Democrats against dragging out the process. “Attempts to keep the collusion narrative alive, especially for political reasons, will only serve to further harm our political discourse and play into the hands of our foreign adversaries,” he said. Senate Judiciary Chairman Lindsey Graham has said it’s important for the public to know Mueller’s conclusions, but has said he trusts Barr, whom he recommended Trump pick as attorney general, to make the decision on what to disclose. Feinstein has made clear she’ll insist on getting the underlying documents as well. She’s previously pointed out that Congress’s oversight goes beyond crimes committed to oversight of general misconduct and abuse of power and pointed out that the Justice Department provided investigative materials to Congress in the Hillary Clinton email investigation. “The attorney general cannot take the position that it will only produce material to Congress when requested by Republicans,” she wrote. As for the report’s impact, Democratic leaders have insisted on waiting until seeing Mueller’s findings before contemplating whether to impeach the president. While it takes only a simple majority to impeach a president in the House, two-thirds of the Senate -- 67 votes -- are required to convict a president and remove him from office. No president has ever been convicted in the Senate. It would require 20 Republicans to abandon Trump and join with every Democrat to convict him -- an extremely high hurdle given Trump’s popularity within his own party. Democrats have already teed up investigations beyond the Mueller report in any event. 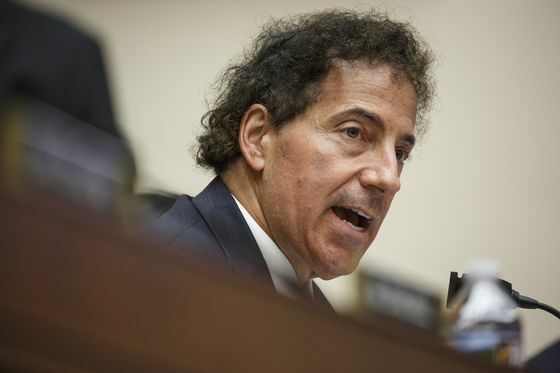 House committees have opened wide-ranging probes into his finances, business ties and hush-money payments.